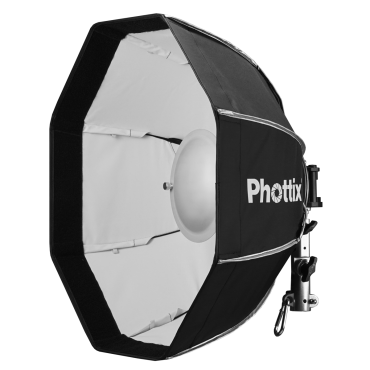 The newest beauty dish/softbox from Phoenix, the Spartan, features collapsible, flexible rods and comes in 20-inch or 28-inch sizes. The central diffuser is removable, while a second diffuser can be attached directly in front of the light source. The dish features an eight-sided formation, and an egg-crate grid. The two sizes will be available for $120 and $145, respectively. For more details check out the press release below.